I can make hats to order, so you get the perfect fit, but I have a few around so you see the styles, but I can make pretty well anything you want in any style. 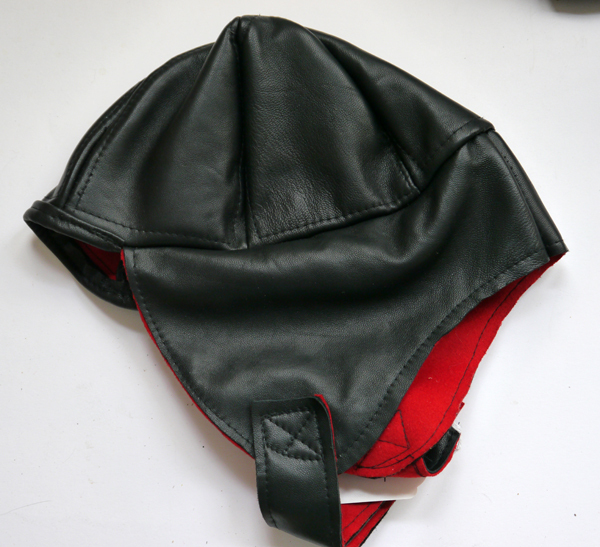 Hat, soft black leather with a red woolen lining, chin strap with velcro fastener. 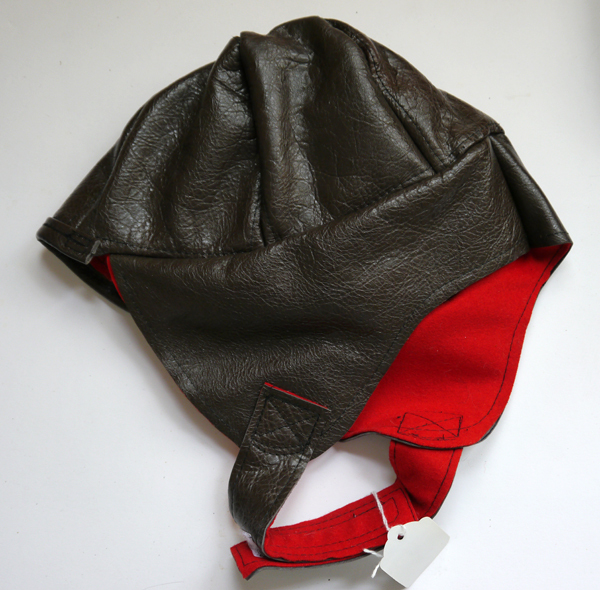 Hat from soft brown leather with a red woolen lining, chinstrap with velcro fastener.